This is a cool little way to celebrate Australia with this great Australian themed Baby Bib. 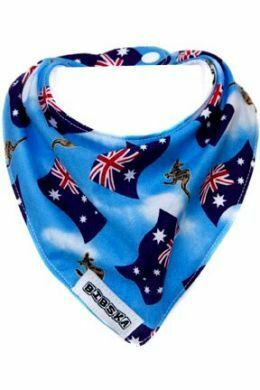 This unique little Aussie flag and Kangaroo bib makes a great gift to send overseas to an expat or just to show someone how great Australia is. 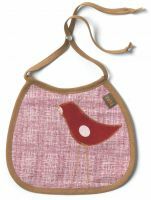 Bibska Bibs are fantastic at catching dribbles, spills and crumbs. that naturally creates hills and valleys. N Note: Image placement on bibs may vary.